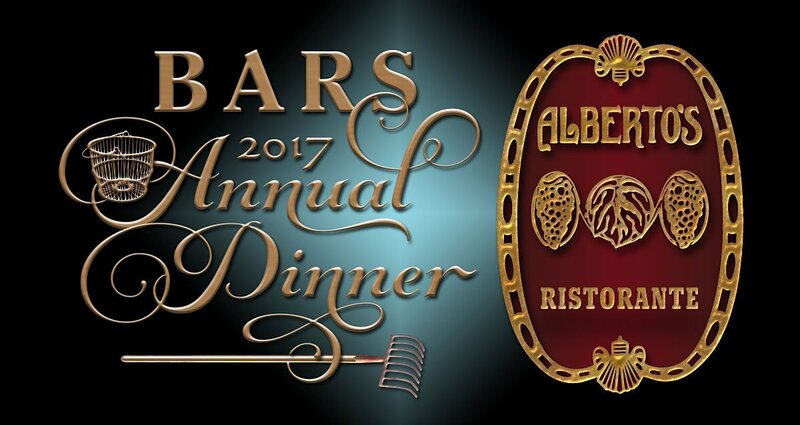 BARS annual awards dinner will be Tuesday, May 2nd at Alberto’s Ristorante in Hyannis. The event is only open to the first 70 members in good standing. Cash bar is from 5:30 – 6:30 pm. Dinner will be served at 6:30 pm. Price per person is $36.50 including gratuity. 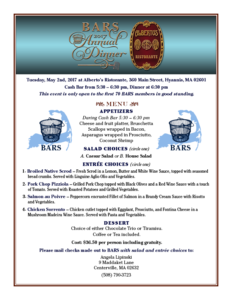 Click for printable menu and details. Checks must be received by April 25th, 2017 to secure your reservation.